We all have cultural assumptions about objects, food, etiquette, and more. It’s amazing how many of those assumptions change when you’ve lived in another land. If you were competing on Jeopardy, here’s how 28 of your questions would change from BC (before China) to AC (after China). I’ll take “Cultural Mix-Ups for 100”, Alex. Or Alec, if you were hip in the 90s. BC: What is embarrassed and angry? AC: What is pleased and proud? 2. This is how strangers can easily identify the gender of your newborn child. BC: What is dressing them in all blue or all pink? AC: What is split crotch pants? 3. This everyday object is great for sweeping the sidewalk. BC: What is a broom? AC: What is a bunch of branches tied together? 4. 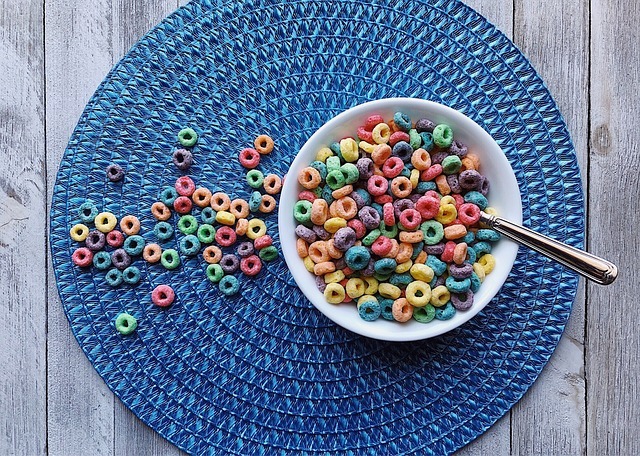 This everyday object is great for mopping up spilled liquids. BC: What is a mop? AC: What is a broom? BC: What are two things the FDA warns are bad for your health? AC: What are two things you should hand out as favors for wedding guests? 6. This topic should be avoided in polite conversation. BC: What is your salary? 7. Eating oranges when you have a cold. BC: What is the best thing you can do, according to grandmothers? AC: What is the worst thing you can do, according to grandmothers? 8. This holiday is associated with the color red. BC: What is St. Valentine’s Day? 9. This is the most popular use of peanut butter. BC: What is a pb&j sandwich? AC: What is jiaozi dipping sauce? BC: What is an easy, default breakfast when you’re running late? AC: What is an expensive treat that you only get once in a while? BC: What is an expensive treat that you only get once in a while? AC: What is an easy, default breakfast when you’re running late? AC: What is cooking oil? BC: What’s one example of recyclable trash? AC: What’s the best container for sketchily old tea if you’re a taxi driver? BC: What’s “not just a city in China”? AC: What’s not a city in China at all, *smh* ? BC: What is the size of cup they sell at the movies? AC: What is enough for the entire dinner party to share? BC: How many people can fit in your Prius? AC: How many people can fit on your scooter? BC: What is a mild curse your Grandma uses when she discovers she’s out of margarine? AC: What is something you can reasonably expect to jump out at you when you walk past the trash cans at night? BC: What is something you’d wear to the office on casual Fridays? AC: What is an essential part of any exercise uniform? 19. These sweet brownish tidbits are featured in many desserts. BC: What are chocolate chips? AC: What are kidney beans? 20. This is where you’d expect to find nail clippers. BC: What is in a bathroom drawer? AC: What is on a keyring? 21. This is the place you’d expect to find a roll of toilet paper. BC: What is on the toilet paper roll in the bathroom? AC: What is on the table for meals? 22. This is where you’d expect to find Q-tips for sale in a store. BC: What is the healthy and beauty section? AC: What is the outdoor grilling supplies section? 23. The store you’d go to if you wanted to buy ping pong paddles and balls. BC: What is a sporting goods store? AC: What is a stationery shop? 24. The modern method of official business communication for bosses and their employees. BC: What is email on a computer? AC: What is WeChat on a phone? 25. The primary purpose of plastic coffee stirrers. BC: What is stirring coffee? AC: What is drinking coffee through them? 26. This is the appropriate amount of advance notice you’d give friends if you’re planning an all-day outing and want to invite them along. BC: What is two months? AC: What is the night before, or possibly, the morning of? 27. The place you’d expect to find an Arctic fox, a bear cub, and a squirrel. BC: What is a zoo? AC: What is the pet area of the local bird & flower market? 28. This language is most often used for decoration rather than actual meaning. 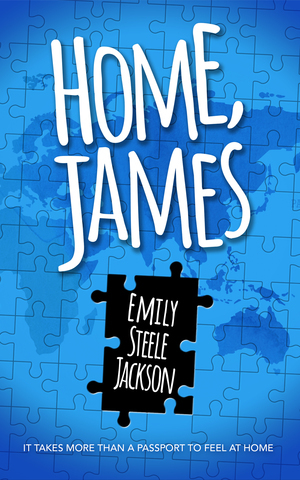 Home, James is on sale for only US$0.99! Grab my book for this price now before the sale ends! Read the first chapter free, and check out all 27 5-star reviews. I love hearing from readers, so if you get the book, please drop me a line to let me know what you think. Let me know your email address, and I'll send you my posts. Easy peasy. Oh, ouch thatI understand so many of those AC answers!!! I wish I could use my favorite WeChat emoji here, 5th emoji page, first on the middle line. This is so great! I don’t even know which one is my favorite, but I AM so pleased and proud when my children are “naughty.” 🙂 I have so fully adapted to #26 that I don’t think I couldn’t make it outside of China anymore. That’s a good emoji. I love advance planning, but somehow I’m permanently AC for #26. You did it again. Dying laughing. How in the world do you come up with these lists?!?! I’m confused about #14 though…?! What am I missing? I was laughing with every number! This is so true and so so so funny. I love it! So glad you liked it, Brittany!